Betty Jayne Kettering aged 83, of Polk, passed away Sunday, January 20, 2019 at her residence. She was born May 9, 1935 in Sugarcreek, Ohio, the daughter of Rev. 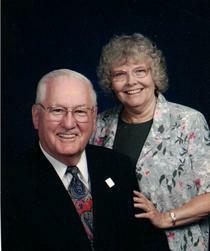 Martin and Verna (Immel) Krieger. Mrs. Kettering was a 1959 graduate of Onekama High School in Michigan and received her Bachelor’s Degree in Music Education from Manchester College in 1951. She attended Maple Grove Church of the Brethren where she was the pianist and organist. Betty had been playing in churches since age 8 in her pastor father’s churches. Mrs. Kettering was active with the Knitting group at the Kroc Center, Friends of the Library, and had been active with several special music groups while in Toledo where she was a music teacher for over 20 years. Her greatest love was her husband, Delbert and her family. On June 7, 1959 Betty married Rev. Delbert Warring Kettering who survives. Also surviving are her children, Mrs. Karen (Tony) Turley of Toledo, Mrs. Kathryn (Keith) Webb of Toledo, Ms. Krista Thompson of Maryville, TN., and Mr. Kevin (Joy) Kettering of N. Canton; her 11 grandchildren; and 3 great grandchildren. Betty also has surviving sisters Mary Brandenberg and Carol Sue Baum. A memorial service will be held at Maple Grove Church of the Brethren on Saturday, January 26, 2019 at 11:00 A.M. with Pastor Kris Hawk officiating. Friends may visit with the family one hour prior to the service at the church. There will be a time of fellowship and luncheon following the service. Heyl Funeral home is assisting the family with arrangements. The family suggests memorial contributions may be made in Betty’s memory to Hospice of North Central Ohio 1050 Dauch Dr. Ashland, Ohio 44805 or to Maple Grove Church 960 Twp. Rd. 964 Ashland, Ohio 44805.